We invite you to a discussion on prosperity and well-being with Hazel Henderson. Hazel Henderson D.Sc.Hon., FRSA, is founder of Ethical Markets Media, LLC (USA and Brazil), a Certified B Corporation. 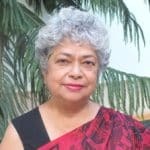 She is a world renowned futurist, evolutionary economist, a worldwide syndicated columnist, and author of award-winning Ethical Markets: Growing the Green Economy (2006) and eight other books. She created the Ethical Markets TV series in global distribution at www.films.com, the EthicMark® Awards, the Green Transition Scoreboard® and co-created Ethical Biomimicry Finance®. We will examine societies’ obsession with money as the primary measure of all things: personal self-worth, companies’ success, the progress of nations-even the value of social achievements, literature and the arts. how much money a movie makes at the box office (however violent); is a book a best-seller, the homage paid to the richest 400 in the world. We all know this story! Yet being a good parent, volunteering in the community, starting a movement to save children from traffickers, protecting the environment or an endangered species—all supposed to be done for love—-not money. We’ll explore how the worship of money came about; why economic textbooks ignore this unpaid “love economy” that actually is the foundation of all societies, why the work of women in raising children and caring for the home, the sick and elderly is termed “non-economic”. The truth, of course, is that money is not wealth—but simply information that tracks and keeps score of our activities, production and use of nature’s resources. These obsolete economic ideas focusing on money are slowly giving way to broader measures from the money-denominated GDP to the united nations sustainable development goals (SDGs). The new award book “Radical Transformational Leadership” outlines how social progress goes beyond conventional rules, models and economies. It challenges the old models and empowers us toward making positive social change. The basic question: how can we transform money-focused market fundamentalism and work toward universal prosperity? Bio: Hazel Henderson D.Sc.Hon., FRSA, is founder of Ethical Markets Media, LLC (USA and Brazil), a Certified B Corporation. She is a world renowned futurist, evolutionary economist, a worldwide syndicated columnist, and author of award-winning Ethical Markets: Growing the Green Economy (2006) and eight other books. She created the Ethical Markets TV series in global distribution at www.films.com, the EthicMark® Awards, the Green Transition Scoreboard® and co-created Ethical Biomimicry Finance®. Her editorials are syndicated globally by Inter Press Service, and her book reviews appear on SeekingAlpha.com. Her articles have appeared in over 250 journals, including Harvard Business Review, New York Times, Christian Science Monitor, as well as journals in Japan, Venezuela, China, France and Australia. Since becoming a full-time media executive in 2004, Hazel has stepped down from many of her board memberships, including Calvert Social Investment Fund (1982-2005), the Social Investment Forum and the Social Venture Network. 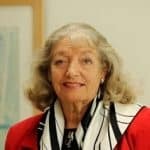 She has been Regent’s Lecturer at the University of California-Santa Barbara, Horace Albright Chair in Conservation at the University of California-Berkeley, and advised the U.S. Office of Technology Assessment, the National Academy of Engineering and the National Science Foundation from 1974 to 1980. In 2010, 2012, 2013 and 2014, she was honored as a “Top 100 Thought Leader in Trustworthy Business Behavior” by Trust Across America. In 2012, she was honored with the Reuters Award for Outstanding Contribution to Development of ESG & Investing at TBLI Europe. In 2013, she was inducted into the International Society of Sustainability Professionals Hall of Fame.